LinkedIn operates the world’s largest professional network on the Internet with more than 90 million members in over 200 countries and territories. 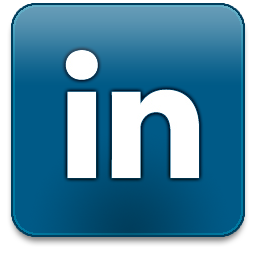 Linkedin has introduced Linkedin share button for websites,blogs to enable their readers and visitors to share the articles of that websites easily on Linkedin. LinkedIn is a place where busy and on-the-go professionals rely on their network to stay informed and make decisions.There were nearly two billion people searches on LinkedIn in 2010. You can add a Linkedin share button to your website and enable visitors to share your content with their network. In this tutorial I am going to explain how to add a Linkedin share button to your blogger blog. There are 3 types of Linkedin share buttons : Vertical count, Horizontal count and No count. If you like to add these Linkedin share button to your blogger blog,then follow the steps given below. 4.Now Copy your "Linkedin share button" code and paste it just below the above code. NOTE: If you can't find <div class='post-header-line-1'/> in your template, paste your "Linkedin share button" code just before <data:post.body/> . Refresh your site. Now you can see Linkedin share buttons in every post pages. Great post.I have used Gostats.com Hit counters on many of my sites and blogs and it offers comprehensive and real time tracking. Please, help me out if possible. I tried pasting this code at both the places you mentioned. But it still won't work. I have a google plus badge on each post as well, so i tried modifying the location of the linkedin image too. So i tried eliminating the google badge code but it won't go, even without the code it still shows! Is there any other reason it won't work or am i missing something.